Let me open with a few general items. To all parishioners and people involved in any ministries, when in the Parish Center/School area, remember that there are “small people” walking about. We’re bigger people. Please remember to be careful when opening doors, walking around corners and walking down halls. Also, when driving on the grounds, please be mindful that children are often in the parking area. We don’t want to knock any of our guests over. Second, concerning any parishioners involved in ministry who use the parish center. DURING SCHOOL HOURS, all people must enter through the main office/school doors and register with Regina Luminis. For safety reasons, we need to know who is on campus and in the building. Do NOT use any passkey fobs to enter the Parish Center, gym or school building to “take a shortcut” without letting them know of your presence. Many of you have asked how the search for a new Director of Music & Liturgy is going and when we can expect to have a new Director hired. To accomplish this task, A “Recruiting Team” was put together. The team consisted of several parish choir members together with non-choir parishioners-in-the-pews. First, let me personally thank the members of that team for their approach, insights, dedication and investment of time and effort. Catherine Cappalletti, Teri Rissel, Jeri McHugh, Bridget Tomassicchio, Kit Sherman have done a remarkable job. Beverly Todor, Christine Weidner and Tom McGurk have provided valuable logistical support and additional insights. 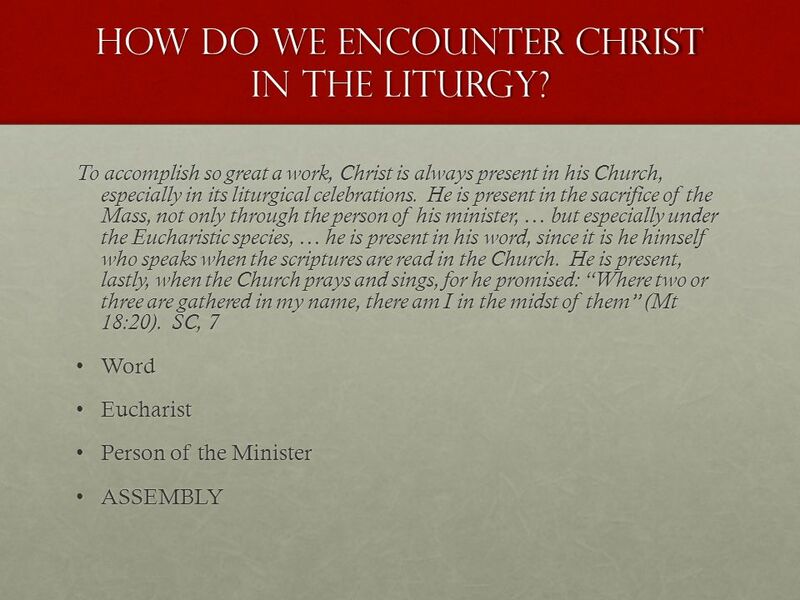 The team was aware of that Jesus desires to “Encounter His People Through Liturgy.” The team initially met to tease out what that would look like specifically at St. Monica. How do we make that happen? What are the liturgy/music priorities? What are our strengths? What has worked in the past and has borne fruit? What is simply not working? What needs to be changed? What is new or different or missing that needs to be included? Based on these conversations, the team came up with a plan. This included initially developing a series of liturgy/music principles and a preliminary “job scope”. They drew up a list of “threshold” requirements to initially screen applicants. They developed a list of interview questions for first- and second interviews. They came up with a list of places where the job would be posted. They agreed on an evaluation procedure to be used once resumes were received. After I received these, I ran this past several other parishioners for further input and recommendations, and then approved the job posting in early December. Thanks to the hard work of Beverly Todor, the position was posted to several universities, the Archdiocese of Philadelphia, and selected professional organizations. Teri Rissel offered to be the point of contact, recipient of the resumes and to coordinate the distribution of the received resumes to other team members. We have already received resumes from interested candidates, several which look promising. The Recruiting Team will be reviewing them and identifying candidates to interview in the coming weeks. The procedure they are using is to 1. Review all of the resumes that Teri sends; 2. Identify which candidates meet the basic requirements we have established; 3. Rank the candidates in the order in which we would like to have them interviewed; 4. Finalize the questions we want to use in the phone interview; 5. Identify who will reach out to the candidates and schedule the phone interviews; 6. Identify which team members will conduct the phone interviews; 7. Review how the interview summaries will be prepared and shared with the full team and the Pastor. The team looks forward to having a “good news” announcement to share. In the meantime, please continue praying for the success of this project—and support the musicians and cantors who have so generously stepped forward to sing and accompany our liturgies. Another area that has been discussed is Communications. We live in a media-centric world and the Church is no exception. Parish communication serves a number of purposes. Certainly “information-out” is a no-brainer. People want to know what is happening in their parish. Based on the results of the “Disciple Maker Index” parish survey, this seems to be a strength of St. Monica on which we want to build. Communication can also be a catechetical tool. I use the bulletin and website to offer more in-depth insights about our faith. Based on the recommendation of the Liturgy Committee, I have also been using a 30-second liturgical catechesis during Mass to point out specific insights in the hope to enhance our worship. Finally, we need to utilize communications, and especially social media, as an evangelical tool. How can we use social media and other forms of communication to draw people to a closer relationship to Jesus Christ. Bridiget Tommassichio, along with Jason Carter, Meghan Nulty and Vince Gutierrez, has taken a leading role in proposing ideas on how we might accomplish this more effectively at St. Monica in the future. He had taken a “deep dive” into the various media and software packages the parish owns and uses. She has done preliminary cost/benefit analyses to see what media and software is working and has pointed out which might be considered too difficult, too costly or too time consuming to be effective. I have also reached out to several media/communication professionals I personally know for their advice and insights. And so …we are looking to hire someone part-time in a communications/media position. This person would use their marketing/communications skills to impact the local – and wider – community for the Gospel. This role will require a firm understanding of a Catholic parish’s mission and vision and how the position supports that vision and mission. Some responsibilities would include building and managing a team (staff, freelance, volunteers, content creators, content managers) in print, web, video, social media, etc. in a manner that aligns the various parish communications media; serve as the parish’s “brand manager” to coordinate and safeguarding how the parish brand is portrayed in all communications pieces; work with local media outlets to share the stories about how St. Monica is impacting the local and wider community; serve as part of Parish Staff to help inform decisions with an understanding of social media/communications needs and opportunities; provide training opportunities for staff and volunteer team members and Participate in all staff meetings and retreats. Looking ahead, we’re also considering how this person would work with the parish staff to ensure all signage throughout the campus communicates effectively within the St. Monica mission; assist in providing technological support for the regular worship services of the church and all other church events; develop a mobile-first inbound evangelization-based marketing and communications plan that will attract new people into our communications channels, deepen their engagement, and strategically bring them into the life of the church. Interested? Know someone who might be? Send information to clevine@saintmonicachurch.org or call Cathy Levine at 610-644-0110. We”ll be in touch.